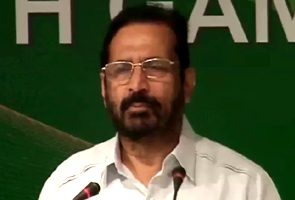 New Delhi: The Union Government has formed a committee of senior officials to oversee the preparation of stadiums for the Commonwealth Games (CWG), virtually stripping the Organising Committee (OC) chairman, Suresh Kalmadi, of all his key powers. Officers of the rank of joint and additional secretaries have been appointed by the cabinet secretariat and each of them has been given responsibility of one stadium. Their job is to ensure that work completes on time for the Games. They have been asked to report directly to the cabinet secretary. Amarjeet Singh to look after Yamuna Sports Complex. With just 45 days to go for the Games, the government wants to ensure that all pending projects are completed without any further delays and hiccups. Earlier, the government had clipped Kalmadi's wings by forming a group of ministers headed by Union Minister of Urban Development Jaipal Reddy to oversee all work related to CWG.